Offering: Upon completion of the USATF/IAAF Academy coaches will receive an IAAF Level V diploma and USATF Level 3 certification. The IAAF Academy Diploma for Elite Coach is the highest recognized achievement awarded through the IAAF Coaches Education and Certification System (CECS). It is recognized around the world and indicates that a coach is not only highly experienced but has the knowledge to coach or instruct at the highest international levels of the track & field profession. In addition to the IAAF Diploma, all USATF Level 2 coaches who complete the course will receive a Level 3 certification in their selected event, which is the highest coaching honor in the US. Dr. Wolfgang Ritzdorf – IAAF Lead Lecturer for Jumps; Noted professor at the German Sports University, Cologne; Recognized as world class authority for the High Jump. Harry Marra – World renowned Combined Event Coach who currently coaches Ashton Eaton, 2012 Decathlon Gold Medalist and World Record Holder. 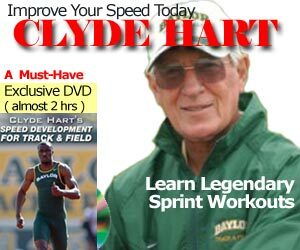 Cliff Rovelto – Master Coach for Coach for the high jump and combined events; current Director of Track & Field at Kansas State University; Coach of Erik Kynard and Jesse Williams. Dr. Randy Wilber – Lead Exercise Physiologist for the USOC. Noted authority on altitude training and environmental factors. Dr. Will Wu – USATF Motor Learning Sport Scientist; Professor at Cal State University, Long Beach. Applications: Applications should be submitted by November 24, 2014 to Terry Crawford, USATF Director of Coaching (terry.crawford@usatf.org). Candidates will be notified of their status within ten (10) business days of receiving the application. For more information, click here on the USATF website.